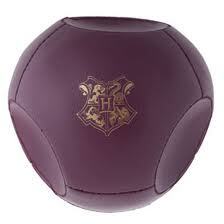 Quidditch is the most popular wizard sport. 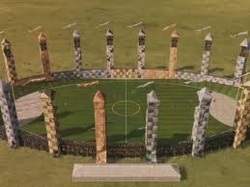 Quidditch is played on broomstick in a large oval pitch. Each end of the pitch has 3, 50 foot high hoops. The 3 Chasers try to put a soccer ball sized Quaffle through one of the hoops, while the opposing team's single Keeper acts as a goalie and stops the Quaffle going through the hoops, to score their team 10 points, there is only 1 Quaffle. There are two bludgers, small but extremely dangerous. These balls try to knock random players off their brooms, that is where the Beaters come in. 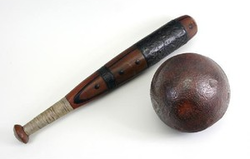 The Beaters(two of them)carry two small wooden bats and try to knock the bludgers at opposing players. The game doesn't end, however, until the Golden Snitch is caught by the Seeker, earning your team an extra 150 points, but not guaranteeing a victory. The Golden Snitch is a small, golden ball about the size of a walnut. This ball is very fast and near impossible to see. The Seeker is usually the smallest player on the team so that air resistance doesn't affect him or her as much. The Beaters are generally large so that they can get a lot of power behind their bat when they hit the Bludger.